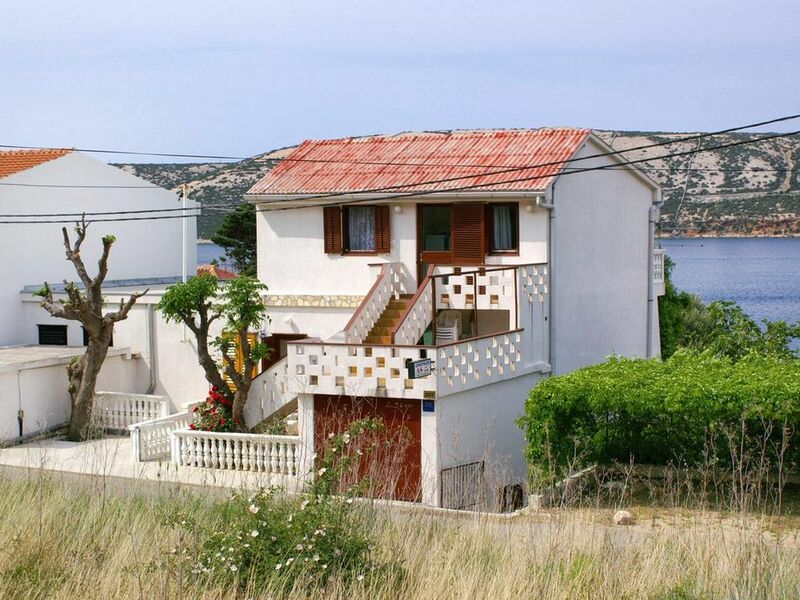 House 4099 in the town of Stara Novalja, Pag - Kvarner contains accommodation units of type Apartment (2) and is 5 m away from the sea. The nearest beach to this accommodation is a concrete slabs beach. The house is categorized as "Facilities near a beach". Other guests may possibly be found in the house during your holiday, as it contains multiple apartments. Your hosts will be present in the house during your holiday. The house owner is under no obligation to accept additional persons and pets that were not stated in the reservation request and it is necessary to report them in advance. Apartment can accommodate 4 guests. Beds are situated in 2 sleeping rooms, within 44m2. Guests can enjoy a sea view from the private balcony. For full enjoyment and relaxation there is a private barbecue for this accommodation guests only. INCLUDED IN THE PRICE: tourist tax, final cleaning, parking, internet, boat mooring, iron, hairdryer, sunshade, sunchairs. Die Vermieter Ivan und Vera sind sehr freundlich, die Wohnungen und das Haus sind sehr sauber. Der kleine Privatstrand (Betonplatte und Kies) waren optimal zum Baden mit Kindern, das Meer ist klar und bestens zum Schnorcheln geeignet. Wir werden bestimmt mal wieder kommen!